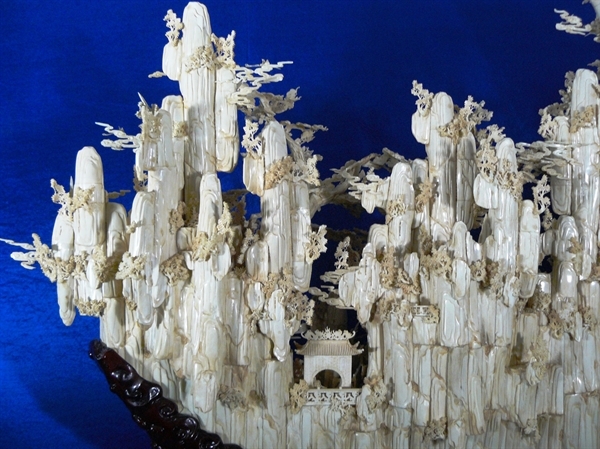 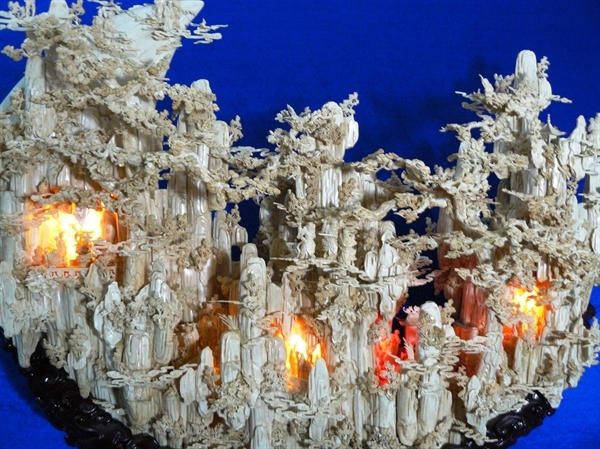 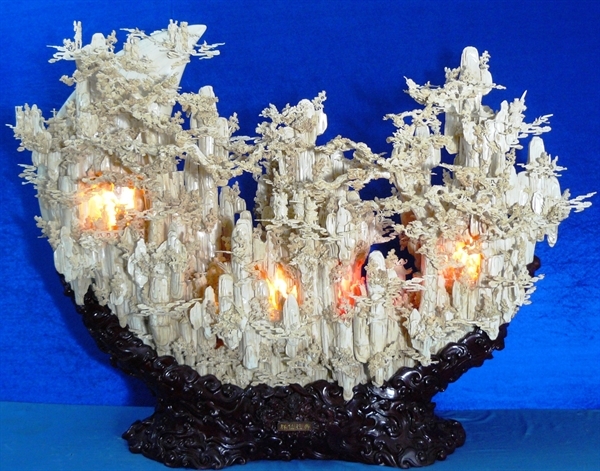 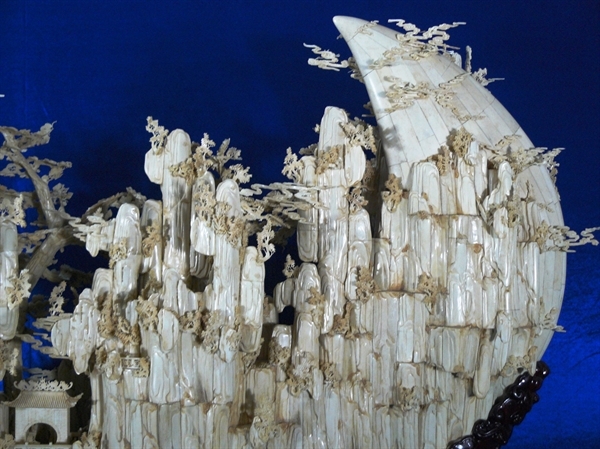 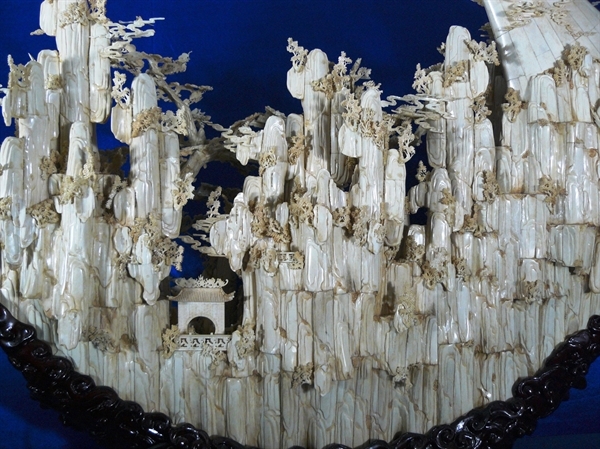 This is a huge antique bone carving, all hand carved from natural water buffalo bones. 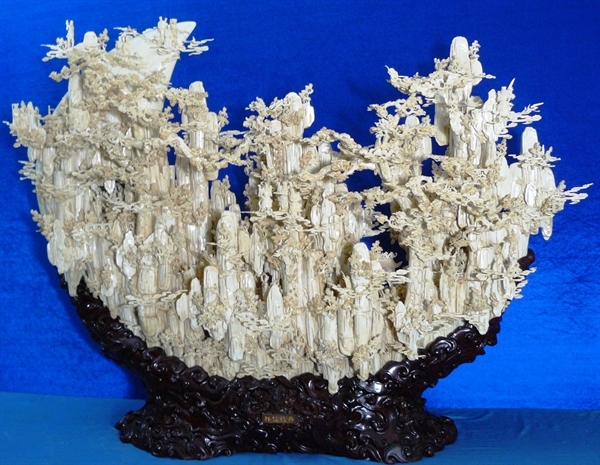 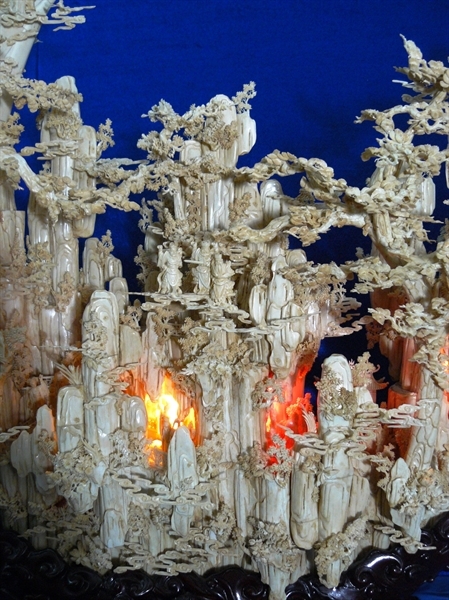 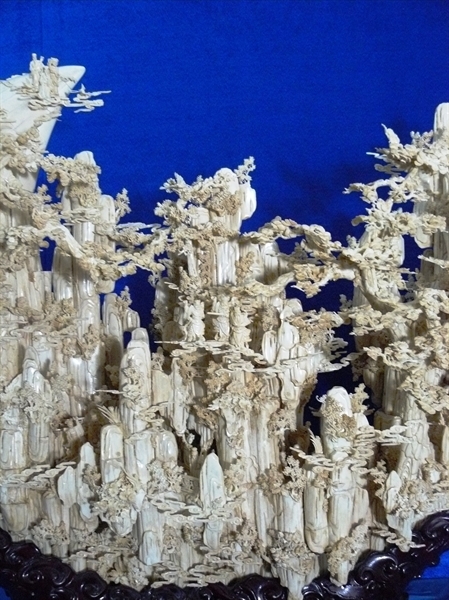 Thousands of small pieces bone are individually carved then joint together. 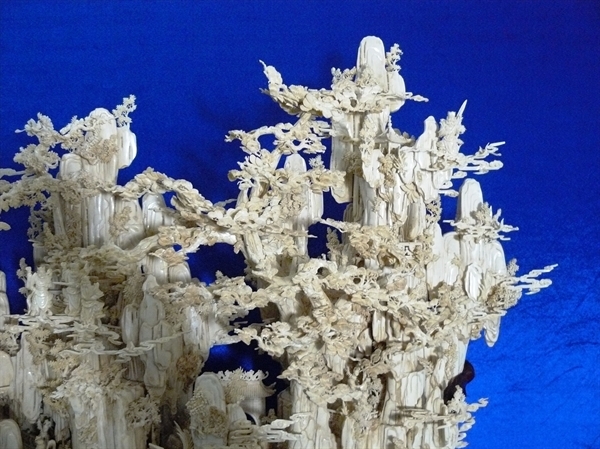 It is a traditional of the ancient Eight Immortals. 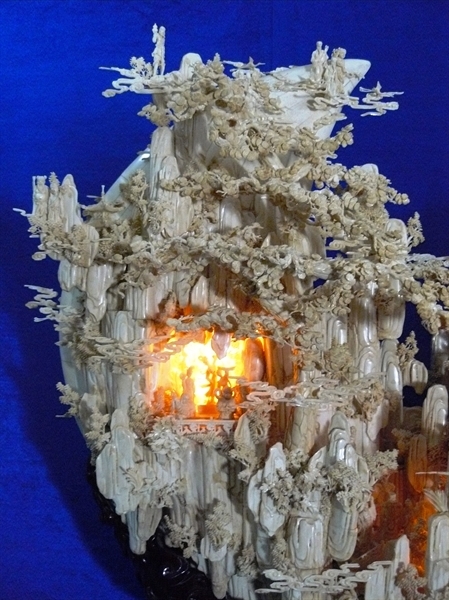 Lights are installed inside caves, powered by 110/220 volt so it can be plugged worldwide. 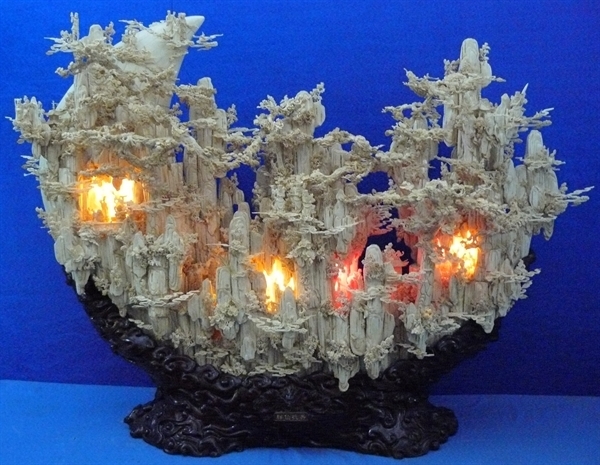 Light bulbs are long lasting and changeable.